Strong compliance practices ensure that SAS conducts business in an honest, respectful, fair and safe manner. 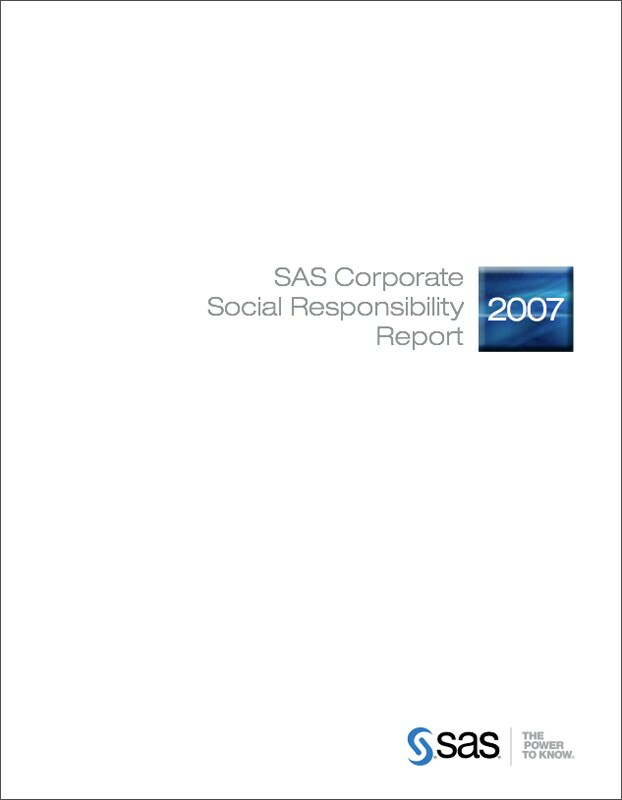 Guided by the Code of Business Ethics (PDF), SAS’ compliance practices have earned the company a strong reputation as an ethical and responsible employer and business partner. SAS is committed to maintaining this reputation and ensuring all aspects of the business are conducted in a way that promotes ethical practices. SAS actively engages in public policy discussions, particularly related to the role of technologies to help solve the larger macro-societal issues that challenge our localities, states, federal and international governments. These challenges include, without limitation, delivering better and safer health care while minimizing fraud, waste, and abuse; mitigating environmental impacts while utilizing scarce resources more effectively; providing better stewardship of taxpayer resources with greater government accountability; and helping governments make better use of their data assets to better fulfill their mission (such as helping detect terrorist financing and money laundering schemes). SAS also actively engages in public policy discussions to help it more fully protect the valuable intellectual property resources that are the underpinning of its business. 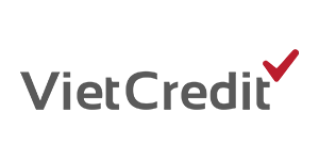 SAS Institute Inc. is a North Carolina corporation. It has been privately held since its inception in 1976. Jim Goodnight, Chief Executive Officer, and John Sall, co-founder and Executive Vice President, constitute the board of directors and serve as executive officers, overseeing corporate performance and investment decisions across environmental, social and economic interests. Jim Goodnight and John Sall are also the company's principal shareholders. The SAS Americas division includes twelve companies (SAS Institute Inc. and 11 operating subsidiaries), which provide software and services to customers in specific territories. 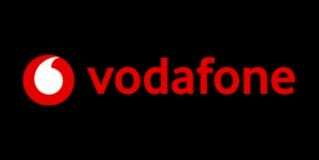 The Europe, Middle East, Africa and Asia Pacific division includes approximately 48 such subsidiaries. SAS also has a number of representative and branch offices in the above regions, with a presence in more than 55 countries. SAS has subsidiaries in the Asia Pacific region that are dedicated to conducting research and development activities for SAS and its affiliates. Corporate social responsibility initiatives and priorities are set by the board, working with Senior Vice President and Chief Marketing Officer Jim Davis. The SAS Executive Sustainability Council, formed in 2008, continues to ensure that SAS global operations conduct business in a sustainable manner. This group includes representation from senior-level executives. 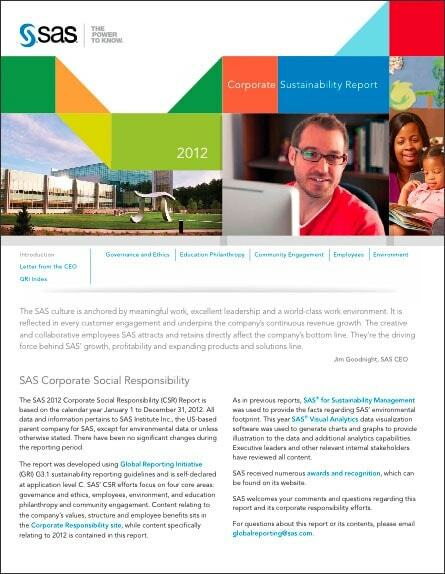 Read more on SAS’ sustainability initiatives. SAS is headquartered in Cary, NC. The company operates through functional divisions that include Worldwide Marketing, Research & Development, Finance, Legal, and Corporate Services. The company delivers software and related services to customers throughout the world. These sales operations are conducted primarily through SAS and its controlled sales subsidiaries, which operate in 57 countries. These entities are grouped into three regional sales divisions – the Americas; Europe, Middle East, and Africa; and Asia-Pacific. 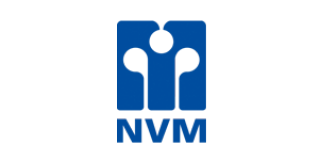 IDeaS, Memex and JMP are separately branded but affiliated lines of business that are operated either through dedicated wholly owned subsidiaries of SAS or as integrated divisions of SAS. SAS strives to employ the highest ethical standards, demonstrating honesty, fairness and accountability in every decision and action – in every interaction with employees, customers, suppliers and competitors. This SAS Code of Ethics applies to every employee – at every subsidiary and in every region – as well as all members of the board of directors, officers appointed by the board of directors, agents and employees. Employees are responsible for immediately communicating any concerns regarding suspected unethical or illegal conduct to a supervisor, Human Resources or the General Counsel. SAS does not take retaliatory action against people who report suspected violations in good faith, and all reports of misconduct are investigated as appropriate. Specific procedures for reporting such concerns are provided on the Legal Division's website. Employees submit their comments via email, help line or an anonymous online form. Employees can also submit anonymous reports. The SAS Code of Business Ethics helps the company maintain highest standards for respect, honesty, fairness and accountability. An ongoing corporate ethics and compliance program helps educate employees on the code and regulatory issues pertaining to their work. This program is managed by the Assistant General Counsel and is reviewed regularly. To help ensure compliance, SAS has phone and email reporting systems and a non-retaliation policy to protect whistleblowers. Reports can also be made anonymously. All employees have access to an internal compliance Web portal that provides guidance on compliance issues. SAS has developed a compliance system that tracks and reports on lobbying, gift, and campaign contributions – accounting for local variances in jurisdictions where SAS works with government entities. SAS maintains an export management system complete with product licensing and screening processes, and customer and supplier screening practices and systems. SAS has obtained an employee data safe harbor to safeguard the movement of employee data into and out of its US headquarters, and SAS adheres to applicable privacy and information security requirements for the jurisdictions in which it conducts business. As part of the Corporate Services Division, the manager of Supplier Diversity is responsible for SAS’ Supplier Diversity process. The company’s goal is to develop and maintain effective relationships with suppliers that create incremental value throughout the life of each contract based upon economy, quality, environmental preservation and social values. SAS is a member of the National Minority Supplier Development Council (NMSDC) and the Women's Business Center of North Carolina (WBC-NC). SAS is also represented on the boards of various minority supplier development councils and economic development initiatives. SAS customers represent a wide range of industries, people and locations – and we want this same level of diversity reflected in our supplier community. Because SAS is not a typical manufacturing environment, the creation of our product does not require purchasing materials or component parts, but rather relies on a highly skilled staff of technical professionals. SAS complies with the federal laws and regulations which prohibit discrimination in employment based on race, color, religion, gender, national origin, age, disability, or veteran status. As a federal contractor, SAS also complies with Executive Order 11246, as amended, and the implementing rules and regulations of the Office of Federal Contract Compliance, Vietnam Era Veterans Readjustment Assistant Act of 1974, and the Rehabilitation Act of 1973. In the area of professional services offered to its customers, SAS provides small business concerns owned and controlled by socially and economically disadvantaged individuals and women-owned small businesses the maximum practicable opportunity to participate in the subcontracts it awards to the fullest extent consistent with the efficient performance of the contract. At SAS, Continuity of Business is paramount in light of any threats or hazards that may affect our employees and customers and disrupt our business operations. COB planning incorporates corporate governance, information security and corporate social responsibility. SAS is a business partner that our customers can entrust with the viability of their operations because we provide vital customer-facing services and are able to continue core operations. Even if SAS does not experience a business disruption, we improve and standardize operational processes by planning and training employees on how to respond and recover from one. Prepare employees to know what to do in a crisis. Provide timely communications between local offices and SAS world headquarters. Put plans in place to recover SAS’ most critical business operations that support our customers. Develop backup strategies, such as providing support to customers from another office until the affected office can resume normal operations. Avoid and minimize business interruptions through greater awareness and risk management. SAS’ COB initiative extends to all SAS offices. Response and recovery teams from Security, Facilities, IT, Communications, and the business units work together proactively to develop resilience and mitigation strategies, and, in the event of a business disruption, coordinate to execute recovery plans. Through business continuity planning, SAS exercises operational controls to ensure our long-term viability and meet the expectations of our customers in an increasingly risk-conscious regulatory environment. 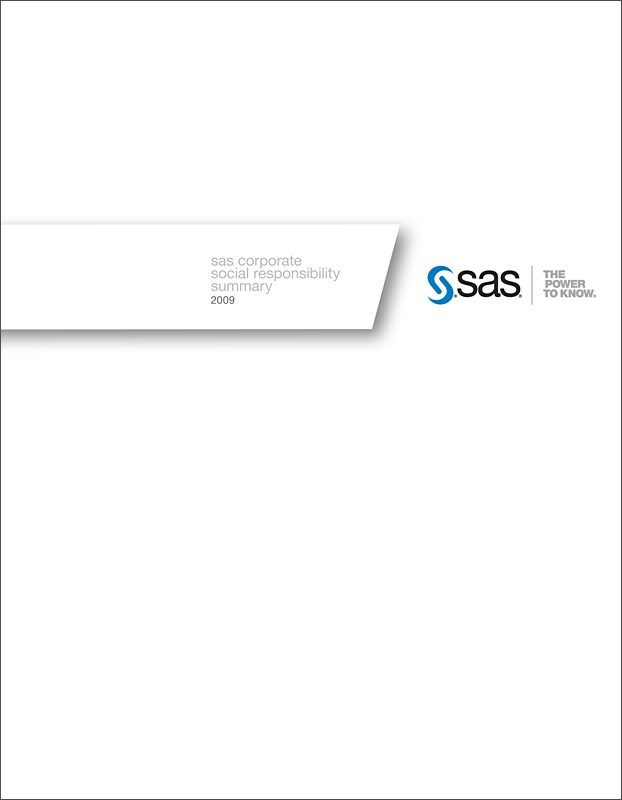 More information on SAS’ COB program can be found in the Continuity of Business white paper (PDF). SAS’ world-renowned culture is based on trust, flexibility and values. The company strives to nurture creativity and innovation – encouraging employees to take risks and exceed expectations while helping them balance work and life. Employees bring their whole selves to work. SAS, in turn, is committed to reducing stress and distraction so they can do their best. SAS’ culture, anchored by meaningful work, excellent leadership and a world-class work environment, is reflected in every customer engagement and underpins the company’s continuous revenue growth. A model for many companies and a source of great pride for all who are part of it, it’s also the source of success. The exceptionally creative and collaborative employees SAS attracts and retains directly affect the company’s bottom line. More than a loyal, dedicated workforce, they’re the driving force behind SAS’ consistent revenue growth, profitability and expanding products and solutions line since its inception in 1976. Workplace awards – SAS is recognized worldwide – at global, regional and local levels – for workplaces that offer unprecedented challenges, opportunities and support for employees. Art collection – the array of artworks displayed in offices worldwide, both inside and outside, fuels creativity and enables customers and employees to tap into creative impulses. 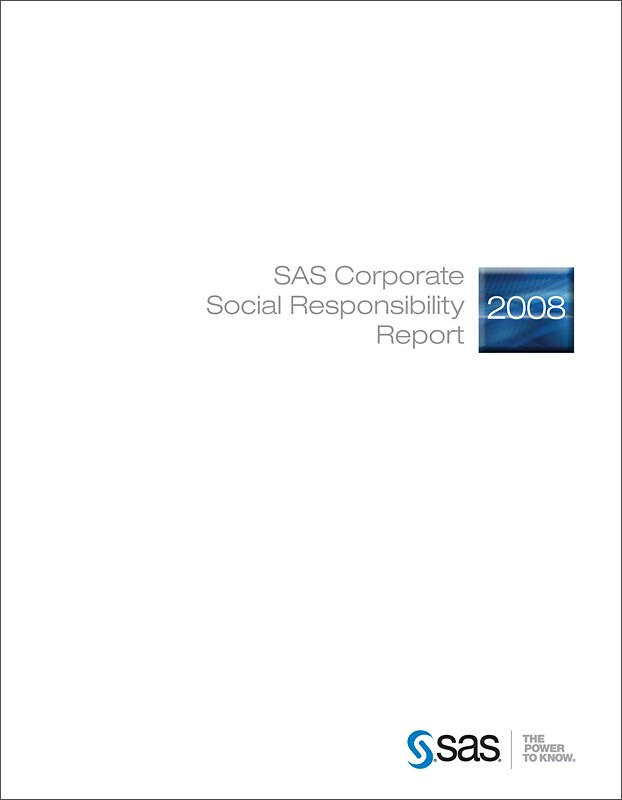 Corporate social responsibility – SAS is committed to sustainably driving operational efficiency, spawning innovation, and satisfying the expectations of customers, employees and society through extensive environmental, employee and education efforts year after year. Reducing costs through intelligently managed resource consumption. Growing new markets through inventive, eco-friendly business practices. Responsibly meeting the expectations of customers, government and the public. The concept and practice of sustainability is embedded into every aspect of our business, from consideration of Leadership in Energy and Environmental Design (LEED) principles in building construction and maintenance to reusing IT equipment for optimization of asset life to recycling in the company’s cafés to creating an analytic software solution that enables SAS customers to better manage their sustainability initiatives. 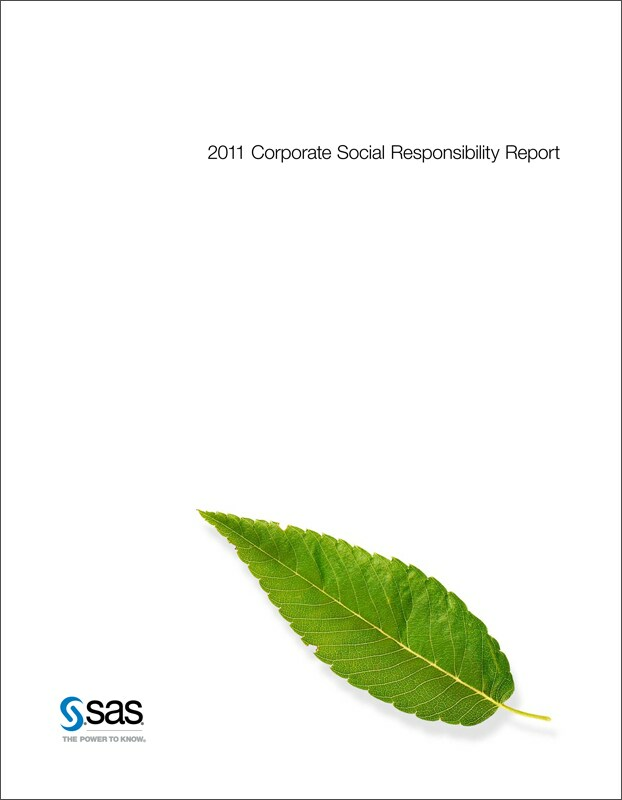 As in last year’s report, we used SAS® for Sustainability Management to provide the facts and figures regarding our environmental footprint. All content has been reviewed by executive leaders and other internal stakeholders. The SAS Executive Sustainability Council, formed in 2008, reviews metrics of SAS’ sustainable performance and provides guidance on ways to conduct global operations in a sustainable manner. This group includes representation from senior-level executives, including co-founders and company owners Jim Goodnight, CEO, and John Sall, Executive Vice President. The Executive Sustainability Council – and the steering committee that reports to it – is chartered to act on an environmental policy statement and mandates. SAS is an active and committed partner in the communities where we live, work and conduct business. At SAS, we recognize that environmental sustainability is a continuous effort that requires prudent use and preservation of our natural resources. We encourage our business operations in offices around the world to take steps to minimize environmental impacts by complying with and exceeding all environmental regulations. To accomplish this, all employees are asked to integrate environmentally responsible practices and seek innovative solutions to optimize operational efficiencies. Corporate priority – Establish policies, programs and practices for conducting operations in an environmentally sound manner, as one of the highest corporate priorities. Integrated management – Fully integrate environmental policies, programs and practices into all functions, business units and global offices. Continual improvement – Continue to raise the bar on environmental performance in alignment with technological developments, scientific understanding and stakeholder expectations. Employee education – Educate, train and motivate employees to conduct their activities in an environmentally responsible manner. Assessment – Conduct impact assessments before starting a new activity or project and before decommissioning a facility or leaving a site. Products and services – Develop and provide products or services that have no undue environmental impact throughout the product life cycle – from development to delivery, use and disposal. Customer support – Advise and educate customers, distributors and the public in the safe and environmentally responsible use, transportation, storage and disposal of SAS® products. Facilities and operations – Develop, design and operate facilities and conduct activities with constant consideration for minimizing resource consumption, adverse environmental impact and waste. Research – Conduct or support research on the environmental impacts of SAS activities and how to minimize adverse impacts. Contractors and suppliers – Promote the adoption of these principles by SAS contractors and suppliers, encouraging and (where appropriate) requiring improvements in their practices. Implementation of environmental strategies is largely the domain of the SAS Corporate Services Division Environmental Management Program. The Environmental Program facilitates environmental efforts at company headquarters in the US, collects and reports key environmental indicators for global operations, and provides guidance and support to offices worldwide. Highest priority is assigned to energy conservation and solar projects, emission management and pollution mitigation, water conservation, waste reduction and recycling, procurement and green building. Using SAS® for Sustainability Management and other tools to measure and improve environmental performance. Ensuring environmental affairs are addressed by executive management. Addressing immediate and long-term impacts of products, services and processes on the environment. Providing global direction about addressing environmental concerns through the allocation of resources, assignment of responsibility and ongoing evaluation of practices, procedures and processes. Enabling continual improvement of environmental processes. Naturally, SAS uses its own analytics technology to measure and analyze the performance of its sustainability initiatives. SAS® for Sustainability Management is used to calculate our global carbon footprint and measure the impacts of business processes and mitigation initiatives. SAS for Sustainability Management supports the application of global standards such as the Greenhouse Gas Protocol and the Global Reporting Initiative. Adherence to global standards provides for measurement and reporting in 57 countries in which SAS operates. The SAS Solar Farms are a combined 2.2 megawatts in capacity and are located on 12 acres at world headquarters in Cary, North Carolina. The photovoltaic (PV) solar arrays generate 3.6 million kilowatt hours of clean renewable energy each year, reducing carbon dioxide emissions by more than 3,500 tons annually – equivalent to the emissions produced by consuming more than 367,000 gallons of gasoline. Solar Farm I - generating power since December 2008. The array is 1 megawatt in capacity, 5 acres and 5,040 panels in size, and generates 1.7 million kilowatt hours of clean renewable energy each year. Solar Farm II - generating power since July 2010. The array is 1.2 megawatts in capacity, 7 acres and 5,236 panels in size, and generates 1.9 million kilowatt hours of clean renewable energy each year. SAS also has several rooftop solar photovoltaic and thermal hot water installations generating renewably-sourced energy for office buildings at world headquarters. Building C - 405 roof-mounted panels - 74 kW capacity solar PV system generates 100,000 kilowatt hours of electricity annually for use in the building – reducing carbon dioxide emissions by 95 tons each year. Building R - 702 roof-mounted panels - 169 kW capacity solar PV system generates 200,000 kilowatt hours of electricity annually for use in the building – reducing carbon dioxide emissions by 190 tons each year. Building T – 24 roof-mounted 4’x10’ solar thermal panels provide hot water for one of our on-site cafeterias. The energy output is equivalent to about 15 typical residential solar water heating systems. Building G – 42 roof-mounted 4’x10’ solar thermal panels provide hot water for the campus gymnasium. The system produces hot water for showers and laundry services. The energy output is equivalent to about 25 typical residential solar water heating systems. Building C – 8 roof-mounted 5’x6’ evacuated tube type solar thermal panels produce hot water for one of our on-site cafeterias. The system works in concert with a building HVAC chilled water system, which makes use of additional heat extracted from water-to-water heat pumps. The energy output is equivalent to about 10 typical residential solar water heating systems. SAS strives to be a leader in environmental sustainability. From U.S. headquarters to our offices around the world, SAS is committed to making a difference. Globally, SAS uses the best design, engineering, materials and technology available to minimize environmental impact when building or remodeling business facilities. This commitment led the design and construction decisions for our newest buildings. Photovoltaic panels generate 100,000 kWh annually to support lighting and building systems. Solar thermal panels provide hot water for the café. Thermal slab floor cooling uses water cooled in off-peak hours by building chillers to help maximize air conditioning efficiencies. Radiant floor heating is used in the atrium to maintain floor-level heat for greater occupant comfort and minimize heat loss through the roof. Highly efficient HVAC systems integrate economizers, enthalpy wheels, variable speed drives, and various heat recovery systems to increase energy savings. Regenerative drive elevators produce power for the building on descent. Energy is saved by using T5 fluorescent and LED lighting fixtures along with individual lighting controls, motion sensors and automatic timers. A one-acre sedum green roof minimizes stormwater runoff and provides increased insulation. This significantly reduces the heat-island affect for this micro-climate. The installation of high-efficiency (low-flow) and electronically activated plumbing fixtures greatly reduces employee water consumption, resulting in 63% savings compared to EPA standards. A rainwater collection system with two 20,000-gallon cisterns captures water for use in bathrooms. A 655,000-gallon retention pond collects stormwater runoff and provides landscape irrigation. In October 2010, SAS opened a new Data Center– Building D – at SAS world headquarters. The 38,660-square-foot facility includes two server farms and provides the additional data-handling capacity needed to expand SAS’ OnDemand offerings, hosted solutions and continued growth of R&D requirements. The facility was awarded Gold certification by the USGBC. The goal was to design and build the most efficient and green facility, allowing SAS to continue providing the high level of IT support customers expect and deserve. Environmental technology designed into the building included the implementation of a reclaimed water system and selection of mechanical and electrical systems emphasizing efficiency of operation. SAS Canada’s office building was the first LEED-certified new office building in Canada. With rainwater harvesting and energy conservation measures resulting in savings of more than 6 million kWh of energy per year (equivalent to 4,000 tons of avoided CO2 emissions), the SAS building has served as an example for many other new buildings in Toronto. SAS is also embracing USGBC LEED guidelines for remodeling and retrofit of existing buildings. For offices located in countries that do not use LEED as a resource, SAS is working to incorporate country specific best practices and pursue equivalent certifications for new construction projects and maintenance of existing buildings. SAS is very careful to minimize impact on biodiversity and the surrounding habitats as the company continues to grow and expand its operational footprint at the two company-owned locations in the US. Of approximately 900 acres at SAS headquarters, about 80 acres have been used for buildings, roads and other impervious surfaces. The remaining 820 acres have been retained as old growth woodland, lakes and streams, farmland, natural areas and approximately 60 acres of maintained grassy lawns, primarily used for employee recreation and landscaping. Preserving large areas of open space in construction projects to minimize disruption to local ecosystems. Reducing the heat island effect by installing white reflective materials and sedum, a living plant species, on rooftops. The use of sedum on rooftops provides additional insulation, minimizes stormwater runoff and provides habitats for wildlife. Collecting rainwater from rooftop systems, retention ponds and cisterns to minimize storm water runoff and provide water for landscape irrigation. Planting drought-resistant and native plants that require only minimal irrigation. Harvesting timber from construction sites so artisans can craft unique pieces of furniture and accent walls for buildings. Restoring land disturbed by construction projects with native and adaptive, drought-tolerant plants that help local ecosystems thrive and reduce our dependence on water and chemicals. Growing local produce for SAS cafeterias from the onsite culinary farm. The SAS Austin, Texas, office is located on 94 acres of mostly undisturbed land where deer and other wildlife freely roam. Only about three acres are used for facilities and access roads. The property has intentionally been left wild and features a long, winding driveway and natural walking trails surrounding the more landscaped areas around the building. The Austin property is home to several types of endangered birds and spiders, which are protected by landscaping and conservation guidelines, such as the Balcones Canyonlands Conservation Plan (BCCP). The BCCP is a joint venture of the City of Austin and Travis County that protects habitats for several locally occurring species protected under the federal Endangered Species Act. SAS works closely with BCCP managers in a joint effort to maintain the natural integrity of these important habitats. SAS’ 900-acre headquarters campus in Cary and 13 owned offices globally use water for office and data center cooling, cafés, gymnasium operations, landscape irrigation and general employee consumption. Conservation of water is of the utmost importance to SAS because many of our facilities operate in communities that have experienced significant water shortfalls and are subject to water use restrictions. At SAS headquarters, a combination of water-saving technologies and practices, coupled with increased employee awareness about water usage, has resulted in significant savings. Installing high-efficiency (low-flow) and electronically activated plumbing fixtures greatly reduces employee water consumption, resulting in 63% savings compared to EPA standards. Using rooftop rainwater collection systems to capture water for use in office bathrooms. Replacing building cooling towers with higher-efficiency systems that can be operated with utility reclaimed water. Replacing potable water consumption with wastewater options such as reclaimed and gray water. Reducing and customizing irrigation schedules to optimize requirements for various plant types. Collecting rainwater in retention ponds and cisterns to minimize storm water runoff and provide water for landscape irrigation. Planting native and drought-resistant plants and warm-season grasses that require less frequent irrigation. The Environmental Management Program at SAS assigns top priority to energy conservation. Energy management is a multifaceted program that includes energy conservation, energy generation, policy compliance, and employee education and engagement. SAS for Sustainability Management is used to help improve processes for collecting, understanding and managing energy requirements for facilities worldwide. As this understanding grows, the ability to report and proactively influence consumption trends increases. Key energy and emissions initiatives include calculating and reporting SAS global carbon footprint, building to LEED guidelines, investing in solar energy, pursuing leading-edge energy efficiency technologies for operating buildings and data centers, and proactively maintaining facilities to the highest efficiency standards. The SAS Waste Management Program at world headquarters has established processes to more effectively measure and monitor the operational waste stream. With more than 13,000 employees worldwide, SAS realizes that significant environmental benefits can be generated from efforts at an individual or local level. On-site recycling options are available for aluminum, batteries, cardboard, electronics, glass, magazines, newspaper, pallets, paper, plastic bottles, printer cartridges, scrap metal and more. SAS annually strives for 100 percent e-waste recycling by repurposing equipment for internal use, recycling with responsible vendors and donating to educational institutions. Polystyrene-based disposables have been eliminated in favor of earth-friendly compostable options. Food waste from cafeterias is composted and used by SAS landscapers to enrich soil throughout the SAS campus – waste vegetable oil is recycled and converted into biodiesel fuel. Reduction of paper consumption (globally) is aided by available online resources. Use of biodegradable and recyclable materials is strongly encouraged. Building construction projects regularly achieve greater than 80% waste diversion from landfills. Grassroots programs for employees reduce waste and encourage increased recycling efforts. Since 2009, SAS has increased the percentage of operational waste diverted from landfills from 26% to 47%. In addition to employing various sustainability measures at world headquarters and global operations, SAS takes pride in environmental education and awareness efforts. We regularly engage employees and the communities where we operate with educational campaigns and communication through speaking engagements, visits to the SAS solar farms, companywide Earth Day activities, featured articles posted on the internal green website, published white papers and webcasts. By engaging with customers, employees, industry leaders and world leaders, SAS seeks to extend the reach of our sustainability initiatives. SAS is working with leading international organizations to apply technology to the global issues of greenhouse gas emissions, as well as other environmental and social concerns. Customers use SAS software to facilitate the efficient generation of power, promote better utilization of critical resources to minimize waste, assist environmental protection agencies, and improve the production and delivery of goods. SAS recognizes that the environmental impact of business activities extends beyond the campus and employee workspaces and actually spans the entire supply chain, from suppliers to distribution channels to product use. SAS continually researches options for incorporating corporate social responsibility elements into procurement processes, and seeks to reduce the environmental impact of supply chain processes. SAS annually completes the Carbon Disclosure Project (CDP) Supply Chain questionnaire related to greenhouse gas (GHG) emissions inventory and related climate change management. For sourcing, SAS strongly encourages our employees to give consideration and preference to environmentally friendly suppliers when ordering goods and services. SAS makes extensive use of green products, such as environmentally friendly cleaning supplies and low-emissions paints and products for campus buildings. The SAS Strategic Sourcing and Procurement department routinely assists stakeholders and technical partners with finding the most efficient and earth-friendly options. Globally, SAS makes every effort to maximize investments for equipment, furniture and supplies by looking for opportunities to eliminate unnecessary purchases, extending the life of assets by repurposing for other business functions, selling outdated equipment to employees, and donating materials to educational institutions. Only then are materials processed for responsible recycling. As a software company, SAS does not have the same risks and concerns as a traditional manufacturing organization in regard to raw materials, hazardous wastes and supplier practices. Because the primary input to SAS products is intellectual property rather than physical materials, SAS does not currently collect data on GHG emissions and climate change strategy from suppliers. SAS encourages employees to mitigate the environmental impacts from their daily work commute by providing: Designated preferred Eco-Commuter parking spaces for low-emission, fuel-efficient vehicles and active carpool participants. Bike racks at all office buildings. Electric vehicle supply equipment (charging stations) with premium parking locations and free charging. Employees share the charging station infrastructure by following the SAS EVSE Use Policy and Guidelines (PDF).